There are a number of different ways to approach training your puppy. If you have already tried harsher methods to manage behavior, like choke chains or shock collars, you may have seen a small degree of success. But you may have also noticed that your dog became frightened, anxious, and even angry during the training sessions. The truth is that cruel and harsh training methods that employ punishment will only cause further behavioral problems in the long run when training your puppy. If a dog is not trained with positive reinforcement and positive association using rewards, he will not understand that he has done anything wrong. A dog trained using punishment, like a shock collar, will live in constant fear that he will be punished – but he won’t know why. 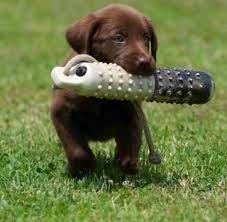 In order to successfully approach training your puppy, use positive reinforcement to open the lines of communication. Positive reinforcement will utilize toys, treats, and praise to teach your dog when he has done something good. 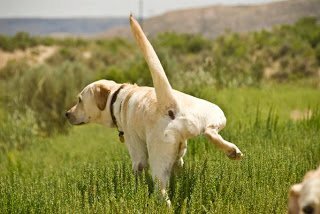 Every time that your dog does something good, like uses the toilet outdoors or sits on command, he will be rewarded with a treat, toy, or praise. Remember, dogs are eager to please. Once your dog has a firm grasp of this positive association, he will quickly put the pieces together to understand that his good behavior is rewarded. And when he misbehaves, this negative behavior can be gently corrected and directed into good behavior that is then reinforced with a reward. Professional dog trainers that use positive reinforcement believe that it is not only the most effective training method, but it is much more pleasant for both the owner and the dog when training your puppy. It really is that simple. And the reason that positive reinforcement training is so effective in training your puppy as opposed to using punishment is because you will attract your puppy to good behavior because he wants more praise and food. A positive reward makes a dog more likely to repeat good behavior. • The trainer patiently waits for his puppy to sit, and when he does, rewards him with a delicious treat. 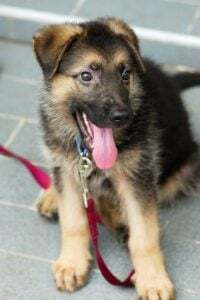 This positive reinforcement method for training your puppy can be used to reinforce a basic connection between good behavior and obedience with a reward. • To teach his puppy to sit, the trainer attaches a leash to the dog’s collar and pulls up until the dog sits down. As soon as the puppy sits down, the discomforting pull on the leash is released. This negative reinforcement is used to teach a puppy that he can avoid pain if he completes a command successfully. Do you see the difference? Although both techniques for training your puppy may motivate your dog to do the same thing, negative reinforcement will cause your dog to become afraid and unstable. Your dog will live in constant fear of pain or punishment if he does not behave appropriately. Positive reinforcement can be used for training your puppy to stop bad behavior as well. As an example, if the puppy starts to pull on the leash, you can stop in your tracks and teach the dog that you will not continue walking until he stops pulling. And if he is walking nicely without pulling, he will be rewarded with a treat and praise to reinforce his action. For both training and punishment, positive reinforcement for training your puppy is the best choice by far to improve your relationship and encourage good behavior. 1. “Dogs: Positive Reinforcement Training: The Humane Society of the United States.” The Humane Society of the United States: The Humane Society of the United States. N.p., n.d. Web. 1 Dec. 2011. 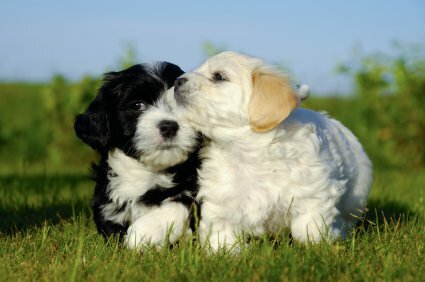 Housebreaking a puppy should be your first priority the moment you take your puppy home from the breeder or the shelter. 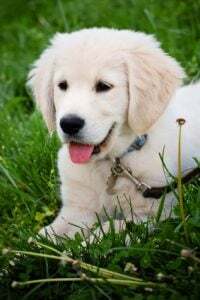 By using all of the tips listed below, housebreaking your puppy can be pleasant experience, and the skills you acquire as a trainer will last you a lifetime. To start housebreaking a puppy, you must first make a list of your priorities. Although it’s nice to have a puppy to play with and to teach him basic tricks, your focus should go to setting clear boundaries for your dog as to what is acceptable and what is not, so that you can keep your house clean. The first step in housebreaking a puppy is to get a crate that is the right size. It’s important that you use a small crate that your puppy can sleep comfortably in, not a crate that is so large that he can run or move around inside. 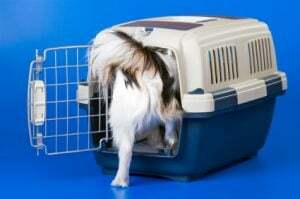 If your puppy has a large crate, he will be likely to use the toilet in one corner and sleep in another corner. Note: If your puppy is going to significantly grow in size, purchase a crate with a blocked compartment so that he can grow into the crate as he gets older. When housebreaking a puppy for the first time, you can’t trust your puppy to be left alone at any time. You need to observe his every behavior to make sure that he does not wander off and use the toilet in a hidden area of the house. If you do not constantly keep an eye on your puppy, then he may be using the toilet indoors without your knowledge. This will completely derail your housebreaking efforts since it will appear that your puppy is using the toilet outdoors at scheduled times, when he actually is not. If you’re going to be gone for any extended period of time, keep your puppy in his crate. But before you do, you must take the time to acclimate your puppy to his crate with a positive association. Use treats to encourage your puppy to go into his crate freely and willingly. 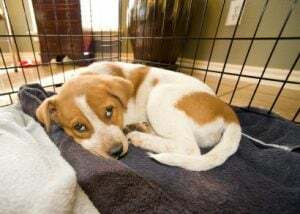 Once your puppy becomes more comfortable with entering his crate on his own, shut him in the crate for small periods of time, starting from 5 minutes and slowly building up to an hour or two at a time. Always reward your puppy with a treat each time that he enters the crate so that he will start to look forward to the time that he spends there. When your puppy is rewarded for good behavior, it makes housebreaking a puppy much easier because you will reinforce his good actions. Your puppy should be rewarded for the good behavior of willingly going into his crate when he is commanded. He should also be rewarded with some treats and lots of praise whenever he uses the toilet outside in the designated area – each time that you take him outside. When you use this consistency in housebreaking a puppy, he will soon start to look forward to using the toilet outdoors because he will expect a treat. This is the best way to reinforce good behavior with rewards. 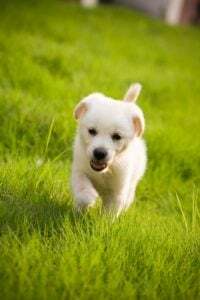 When you create a schedule for housebreaking a puppy, keep in mind that your puppy will naturally want to urinate after playing and after taking a nap. Take him outside as often as possible so that he has the opportunity to use the toilet outdoors and get a delicious reward from you. In the event that you catch your puppy using the toilet indoors – which is likely to happen in the early days of housebreaking a puppy – do not punish him. Come again? Yes, it is important to catch your puppy in the act and startle him. But instead of punishing, redirect his behavior and take him outside. As soon as he eliminates outside, he should be rewarded with a treat and lots of praise to show that he has done something good. When you use the proper technique, housebreaking a puppy can be easily achieved in 30 days or less. Mastering this fundamental training will make it easier to teach your dog good behavior and even advanced tricks in the future. Good luck, if you have any questions please leave a comment below and I will do my best to address your concerns. Thank you for reading this article. If you have just brought a new puppy home for the first time, it may be tempting to cuddle, spoil, and shower your adorable puppy with affection. But just as important as love and affection, is taking the time to train your puppy from a young age so that he can learn good behaviors that will stick with him for the rest of his life. Early puppy training is one of the best ways to prevent long-term behavioral issues, like using the toilet indoors, barking, and chewing furniture. You can use the top puppy training tips below to help prepare yourself and your home ahead of time. Treats are earned, not given. It can be tempting to give a new puppy treat after treat for being so playful and loving. But a puppy will respond best to treats that are earned for good behavior, such as chewing on chew toys instead of furniture or using the toilet successfully outdoors. This will teach your puppy early on that treats are a reward that can be earned through obedience, not bad behavior. Exchange toys with a treat. Your puppy should only have access to his toys at playtime. Instead of grabbing the toy and taking something away from your dog, give him a treat to exchange it so that he doesn’t become possessive of his toys. Give treats while your puppy is eating. When your puppy is eating, place your hand into his food bowl to give him delicious treats. This will teach your dog to accept your presence when he is eating due to the positive association of receiving extra treats. Stay consistent in training not to nip. Puppies are known to nip and chew on different items as they explore their environment. Make sure that you and all family members teach your puppy that no nipping or biting is acceptable; instead, redirect the puppy to a chew toy and reward to reinforce good behavior. Train at the right time. Puppies are eager and willing to learn, especially with reward-based training. But make sure that you train your puppy in a short 5 minutes sessions before mealtime so that he has enough energy and is hungry enough to earn treats for obedience. Take training slow. 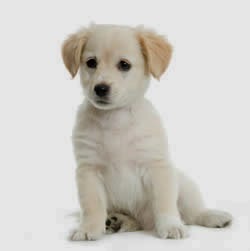 A puppy is growing and developing on a day by day basis, so it may take him time to learn a number of basic commands. Start out slowly with 2 to 3 commands at a time and wait until your puppy learns the commands successfully before moving forward. It is better to build upon successes than to try training 10 different things at once. Do not provide negative attention. Use positive reinforcement to train your puppy instead of scolding or yelling to prevent negative associations. 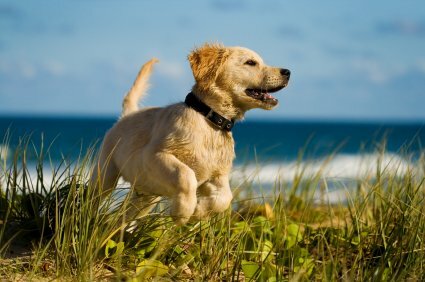 Once your puppy understands that he is rewarded for good behavior, he will be likely to repeat it over and over again. Use a crate to house train. One of the most overlooked puppy training tips is using a crate to house train. But when you teach your puppy to enjoy his crate through positive association and rewards, he will be happy to stay in his crate when you are not at home to prevent accidents. Once your puppy is taken out of his crate, he should be taken outdoors to use the toilet immediately. Once he eliminates successfully, reward him with praise and a treat to reinforce the good behavior. Socialize from a young age. You can socialize your puppy through basic leash training on a walk down the street or at a park. This can be used to train your puppy to follow you instead of pulling on the leash and will also acclimate him to new people and other dogs. The key to this is positive socialization, you want your puppy to experience pleasurable things while meeting strangers and other dogs/puppies. Enroll in an obedience class. Taking at least one obedience class will help you to understand how to better communicate with your puppy in a positive way. This will also teach your puppy how to socialize with other dogs/puppies and people at the same time!